It has happened with me that I was able to succesfully mount a network drive and can freely access it using Windows file-system Explorer. But my script was not able to access it. 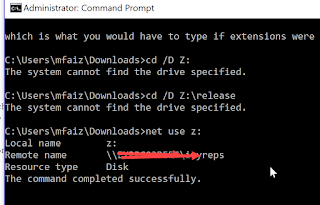 Digging a step further, i noticed that I could not even CD to that drive on command prompt. Hence i finally wrote this blog post for anyone running into the similar issue. Question : How do I change to a mapped network drive at the command line? 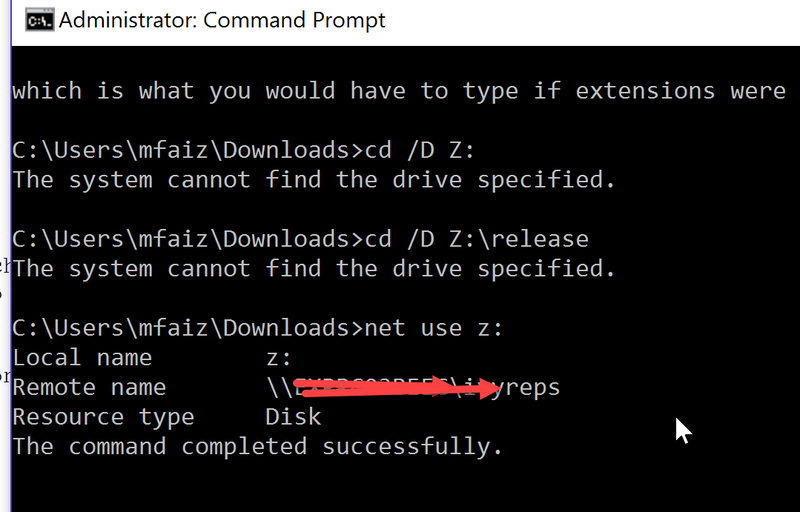 Say, you have a networked drive mapped to "U:\"
Now you want to go to that drive from a command line. C:>u: The system cannot find the drive specified. See attached screenshot showing the error as well as what happened after solution.